Kirsty Dunphy is the author of the unforgettable Retired at 27 – If I can do it anyone can a true story outlining the business mistakes, successes and lessons that took Kirsty from having absolutely nothing to being retired financially free at 27. Kirsty’s story showcases that success is achievable and available to everyone regardless of their current circumstances. Kirsty reveals that being young, female and broke were no barriers because she had the right attitude, determination and integrity. As a former Australian Telstra 2002 Young Business Woman of the Year (the youngest ever recipient) and Tasmania’s Young Australian of the Year for 2004 amongst many other accolades Kirsty is well recognized as a leading business thinker, entrepreneur and mentor to thousands. 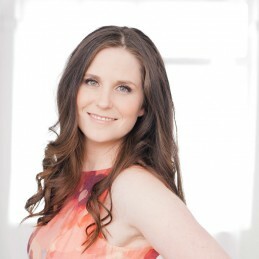 Kirsty believes that Anything is Possible and has developed presentations, workshops and reading materials to show you how to use simple techniques to change your mindset and change your life. Kirsty has been featured on the Today show, Today Tonight, Cosmopolitan, Ocean Drive and Marie Claire Magazines, the Herald Sun and Age newspapers to name but a few.